That is an exeptionally interesting looking setup, in many ways! I assume it's kind of an expediter for Normandin; if so, it's thne first skirted expediter I have seen! It's interesting, though, how the cab doesn't have skirts while the box does. Very interesting setup! 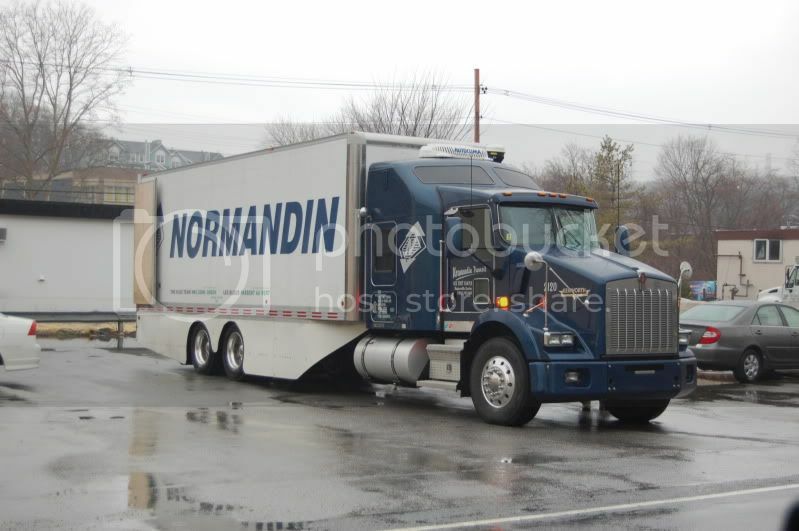 Before I joined here I remember seeing pics of this truck, with skirts, so I guess theyve had it for a few years? Very cool catch! I'm not digging the skirts though.